Big Skinny pop-up retail locations! Find a Big Skinny wallet near you! BigSkinny wallets may be coming to a location near you! 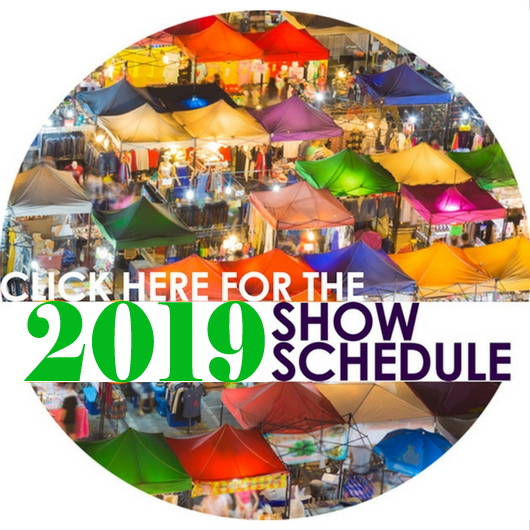 Check out the 2019 calendar for various festivals, fairs, and events that will be hosting a BigSkinny pop-up retail store. What better way to choose your favorite BigSkinny wallet than to see a plethora of designs and styles in person? Interested in becoming a vendor? Contact Lianne Deal at lianne.deal@bigskinny.net and she will answer all your questions and get you started! We will be visiting cities such as Chicago, Boston, Jacksonville, Nashville, and many more. Experienced employees will be eager to assist you and to answer any questions that you may have on our products. If you cannot attend a pop-up retail location event, never fear, since BigSkinny's secure website is the simplest way to purchase from our entire stock of wallets. We also offer a 30-day return policy, which allows you to test out your wallet and make sure that you absolutely love it.